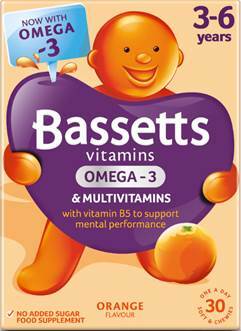 One of the UK’s family favourites,Bassetts Vitamins, is adding a new product to its portfolio this August: Omega-3 + Multivitamins pastilles in orange flavour for 3-6 year olds. Available in a delicious orange flavour, the latest addition contains essential nutrients and Omega-3 to support a smart start. Encased in eye-catching packaging, Omega-3 + Multivitamins Orange flavour pastilles are tailored for 3-6-year olds and bring together essential nutrients and Omega-3 to support normal growth and development. Launching just in time for the new school term, the latest variant also contains Vitamin B6 to support normal psychological function and Vitamin B5 to support mental performance. 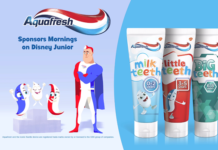 What’s more, with no added sugar, parents can be sure that their kids are getting the necessary nutrients and delicious taste, without any of the nasty stuff! The Bassetts Vitamins range is available for purchase at a variety of retailers at the RRP of £5.50 for a 30-day supply. 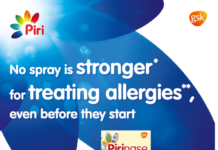 For more information about the Bassetts Vitamins family, please visit www.bassettsvitamins.co.uk. You can also follow us on Facebook @bassettsvitamins or search #MyBassettsVits on social media to discover more. Omega-3 + Multivitamins pastilles in orange flavour is the latest addition to the Bassetts Vitamins family, including Strawberry Multivitamins 3-6 years, Raspberry Multivitamins 7-11 years and Raspberry and Pomegranate specifically tailored for Adults. So, whether you’re a little one, a bigger one, or somewhere in-between, you can enjoy family life with more colour with the help of Bassetts Vitamins.